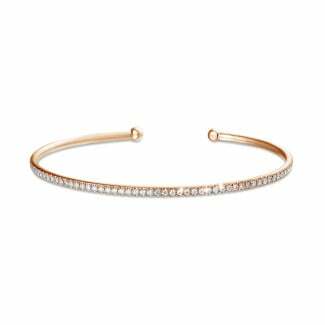 A red golden bracelet set with diamonds around your wrist, can make your look more beautiful and breathtaking. We especially recommend to opt for a red golden bracelet if this is your taste. A unique collection of elegant diamond bracelets in a classic or original style but always with a timeless feeling. Red gold with diamonds is the perfect combination, because the red color makes the brilliance and colour of the gemstone radiate even more. 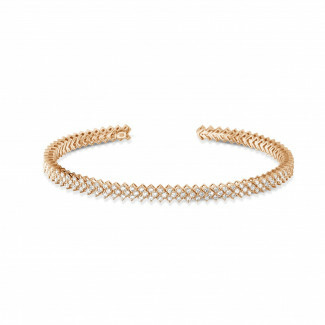 BAUNAT also offers diamond bracelets in white gold, platinum and yellow gold.